"I've never loved anyone the way I loved you." 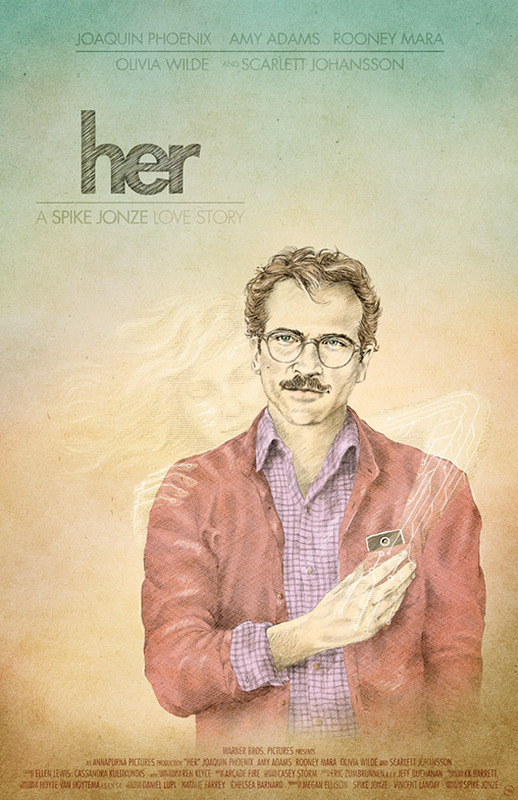 If you still haven't seen Spike Jonze's wonderfully moving sci-fi film Her, it's now playing in wide release. The film received five Oscar nominations, including for Best Picture and Best Screenplay, and is my #1 favorite film of 2013. I love everything about it, and have been listening to the Oscar-nominated score quite a bit recently. ShortList magazine recently posted a set of eight posters for they commissioned on their own for the upcoming UK release of the film, and now they're online for viewing. And boy are they magnificent - way better than any official art. "…Me too. Now we know how." Here's the best six of eight Her posters that I love and wanted to feature. See all of the art (two more) here. 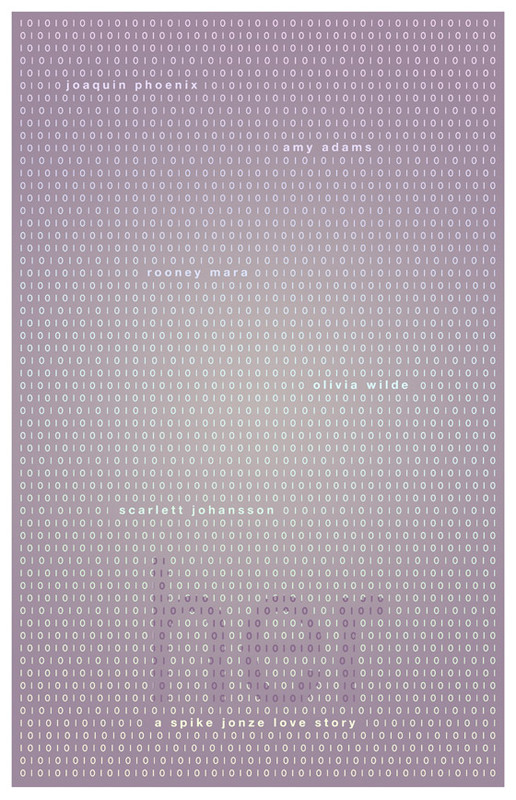 Click on any above to see the full gallery of Her posters from ShortList. And see this film if you haven't yet. 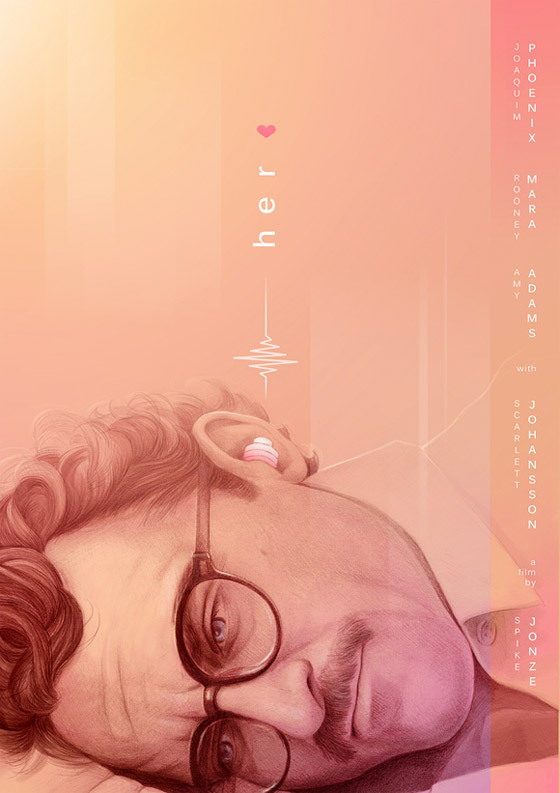 Set in LA, slightly in the future, Her follows Theodore Twombly, a complex, soulful man who makes his living writing touching, personal letters for other people. 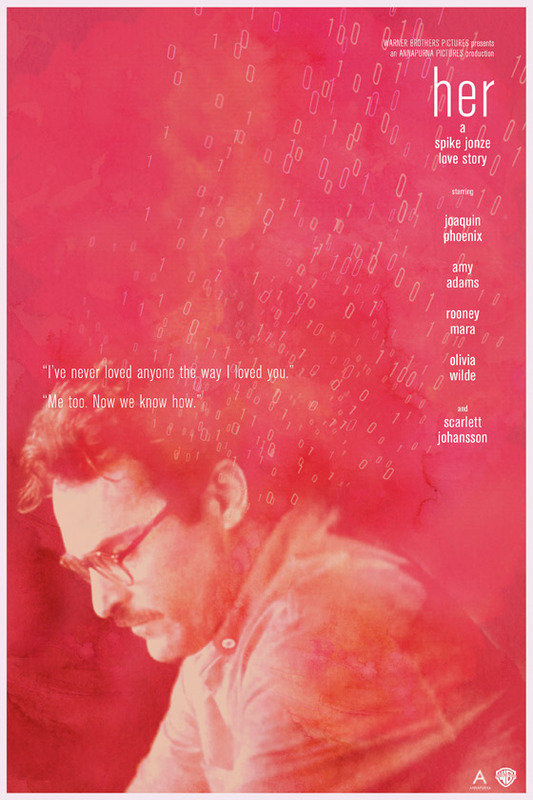 Heartbroken after the end of a long relationship, he becomes intrigued with a new, advanced operating system, which promises to be an intuitive entity in its own right, individual to each user. Upon initiating it, he is delighted to meet Samantha, a bright, female voice, who is insightful, sensitive and surprisingly funny. As her needs and desires grow, in tandem with his own, their friendship deepens into an eventual love for each other. 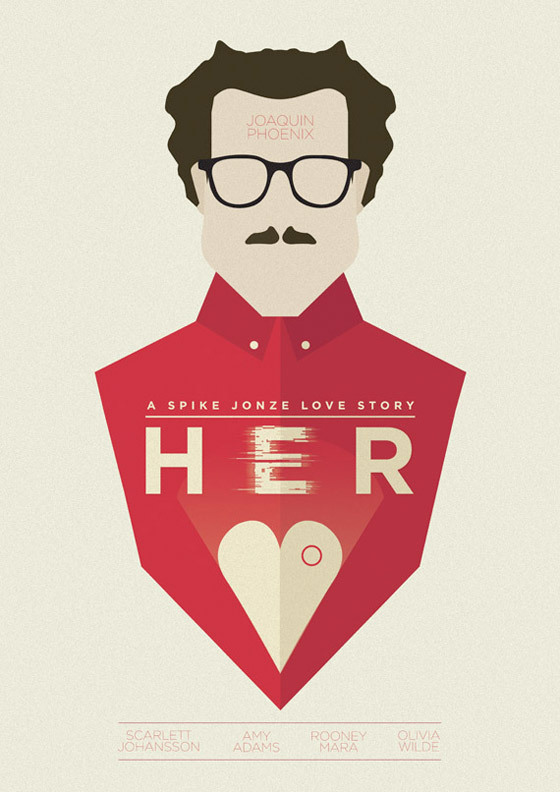 Written & directed by Spike Jonze (Being John Malkovich, Where the Wild Things Are). Warner Bros released Her in wide release on January 10th.